“There was once a Chossid who lived in the city of Odessa. The Chossid traveled to his Rebbe and was received in Yechidus. The Rebbe asked him, “what’s happening in Odessa?” and the Chossid began to detail the wonderful spirit of unity that rested amongst the Chassidim there, their commitment to their regular study sessions and generally offered generous praise of their conduct. The Rebbe was very pleased with this news and enthusiastically bestowed on this Chossid special blessing. Another Chossid who also dwelt in Odessa was also present. He – unlike his predecessor – decided to tell the Rebbe the whole truth… and indeed when the Rebbe interested himself in the affairs of Oddesa the Chossid told of the arguments and divisiveness, which were tearing at the Chassidic community, the lack of commitment to Divine service etc. It was apparent that the Rebbe was not enamored with the way he was speaking and the Rebbe blessed him somewhat coldly. The Chossid didn’t understand, hadn’t he conducted himself in the best possible manner? Had he told anything less than the exact truth? Gathering all his courage, he asked, “Rebbe, my friend who entered previously did not answer truthfully, and yet the Rebbe treated him with warmth and encouragement. Why then does the Rebbe treat me, who told only the truth, with such disinterest and detachment? This story was “a pearl in the mouth” of our friend Nosson Notte, and it would not be a mistake to say that this story clearly defines Nosson’s own personality. For Nosson it didn’t make a difference where he was, amongst which friends he was with, or what kind of circumstances he happened to find himself – he always saw only the good aspects of the situation, the value and worth of each individual, that which was unique and special in the present moment or situation… essentially, he always found the good in everything. He is the one who is remembered by all of us, steadfast in his stance, like a live flame of fire, with that special enthusiasm that was unique to him – the one who set the tone and created an atmosphere. The words of the Rebbe, “a Chossid macht a svivah” [“A chossid creates an atmosphere”] (“Hayom Yom” 30th Adar 1) defined his personality. For us, his friends and acquaintances, Nosson was the personification of the very concept of “liveliness”; the optimization of a Chossid and a Mekusher, who stands ready and prepared at all times; the one who could always be relied on to set the right tone in any situation. Everyone knows that Nosson had an extra special enthusiasm for the study of Tanya, both in-depth study and the memorization and review of each word by-heart. More importantly, Nosson – by way of his unique personality – served as a living example of one who puts the Tanya’s teachings into practice, and most specifically in regard to the Tanya’s heart [the 32nd chapter, the Hebrew equivalent of 32 can be read as Lev, meaning heart] which teaches that “One shall love one’s fellow as yourself – each Jewish soul from the greatest to the least”. 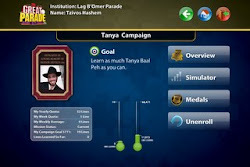 In his short life Nosson invested every possible effort in an attempt to influence as many people as possible to learn and become fluent in Tanya, and especially to memorize Tanya by-heart. He merited that even after his soul ascended, hundreds and perhaps thousands of Yeshivah students throughout the world, were inspired in this regard, and thousands of pages of Tanya were committed to memory in his merit. It is therefore only natural that we have chosen to honor his memory by publishing a collection of notes and explanations on Tanya, and we are certain that this will be a source of pleasure for his Neshomah. We would like to take the opportunity to extend our blessings to the Deitsch Family, that from this day and on they should only hear of good and happy tidings, and they should only know of goodness and kindness forevermore. May it be his will that we should immediately merit the coming of Moshiach Tzidkeinu “and those who lie in the dust will arise and rejoice” and Nosson will be amongst them, may it happen immediately. 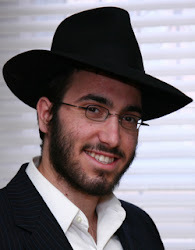 19th of Sivan 5770 – thirty days since Nosson’s passing, and his birthday.